I have searched through lots of history books and searched online for ancient food and have come across one food in common with all the cultures and societies and that is chicken. Chicken is the most famous meat in the world, not only because it is the healthiest meat but also because there are so many dishes you can do with chicken and when it comes to taste it has no rival. Chicken meat contains about two to three times as much polyunsaturated fat than most types of red meat. Chicken includes low fat in the meat itself excluded the skin because skin does contains high level fat. I have seen 100s of dishes cooked with chicken meat just in Indian Sub-continent and if you look around the world the count goes into thousands. Just in food chain outlets chicken earns them billions of dollars every year. 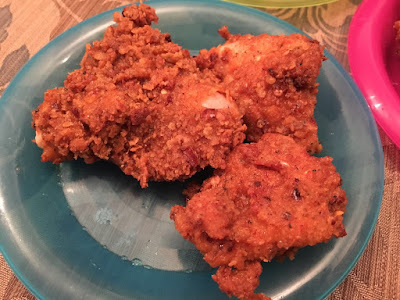 Every food chain or food store will have different types if chicken but for me i think KFC beats them all, with all the respect due to KFC i am going to share my own recipe and believe me i have worked hard for this recipe and the end result is simply yummy and better then most, this recipe is for people who love their chicken spicy and juicy. If you like it please do use comment box below and do not forget to subscribe our site to get new recipes everyday, we don't just share the recipes from around the world, we dig the history for you to bring some of the best recipes for you and we bring the memories of ancient life into your kitchen. In a large bowl add 1tbsp salt and soak the chicken for 1 hour. In a bowl add the plain flour, bread crumbs, salt, Italian seasoning, black pepper, tandoori masala, red chili powder, chili flakes, garlic powder, ginger powder and mix well set aside. In a bowl whisk eggs and milk, soak the chicken pieces for half an hour. After half an hour remove the chicken from the egg and milk mix. Take one piece at a time dip it in the same egg and milk mix, then in the dry mixture. In a pan heat oil, and add the chicken pieces but do not over lap, and cook for 10 to 12 minutes on low to medium flame till golden. 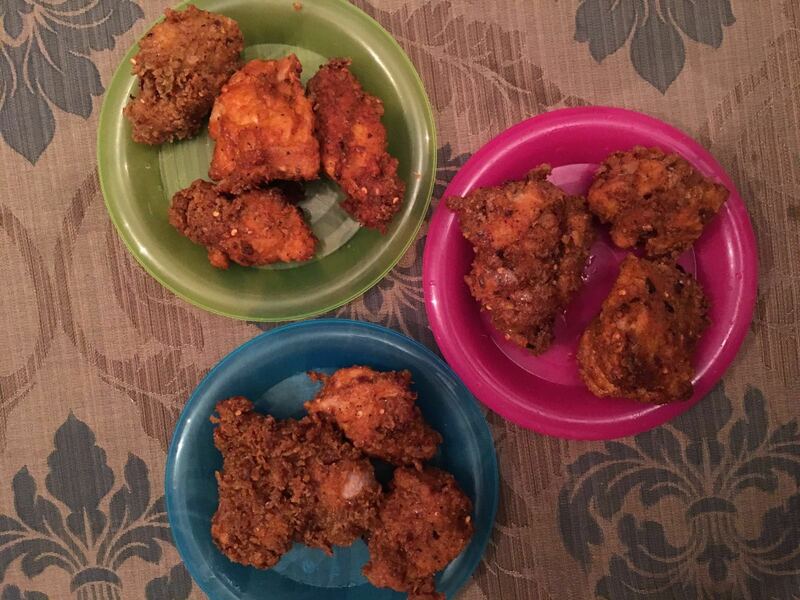 (it depends on the size of the chicken pieces large pieces can take 15 to 20 minutes). 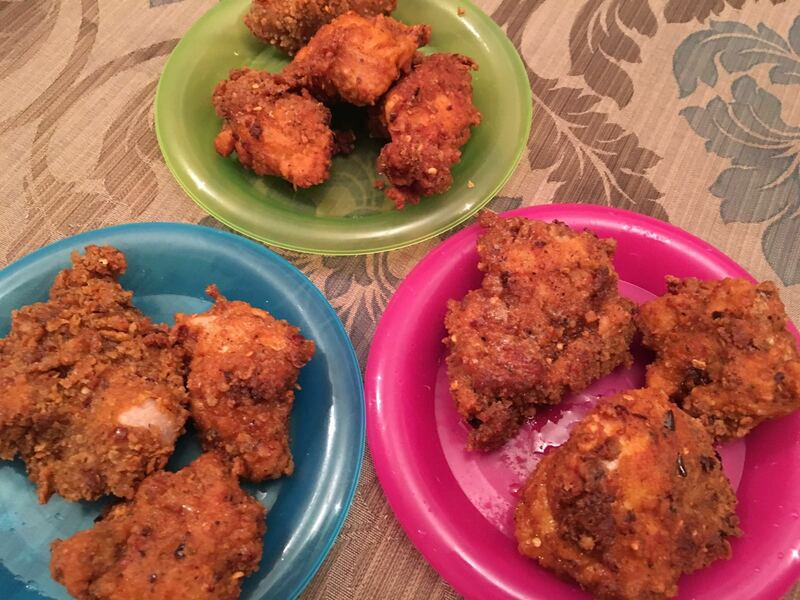 Place the fried chicken on tissue to drain extra oil.